The developers of apps and games for iOS certainly kept busy during the holiday season because January 2018 is full of interesting releases. Whether you’re an avid mobile photographer or someone who never passes any opportunity to relax with a thrilling mobile game, our selection of the best iOS apps and games for January 2018 will help you find something fresh to start this year with. Artstudio Pro claims to be the most powerful painting and photo editing app currently available for iOS. It’s a direct successor to the previous app from the developer, which was called simply Artstudio. The new app utilizes an advanced GPU-accelerated engine, ArtEngine, to render graphics up to 10 times faster compared to the original Artstudio. Artstudio Pro has been designed to take full advantage of Apple’s latest technologies and products, including Metal, a low-overhead hardware-accelerated 3D graphic and compute shader application programming interface, and Apple Pencil. Thanks to Artstudio Pro’s support for the ABR, TPL, PAT, GRD, ASE, ACO file formats, the users can import millions of brushes, patterns, gradients, color swatches, and fonts from the Internet to significantly extend the creative potential of the app. But even without any external resources, Artstudio Pro has all the tools you may ever need, including Move, Select, Crop, Eyedropper, Paint, Wet Paint, Eraser, Dodge, Burn, Sponge, Text, Heal, Clone, and others. You can save your creations either on iCloud or locally in a number of different image file formats. Edoardo Longo, the developer of Loopsie, considers cinemagraphs to be “the new frontier of visual communication.” In the simplest terms, cinemagraphs are still photographs in which a minor and repeated movement occurs to form a video clip. Realizing how much this mix between a photo and a video could grow in popularity if only people had better tools for creating stunning cinemagraphs, Longo decided to do something about it, which is how Loopsie came to life. With Loopsie, anyone can create a cinemagraph in just a few seconds and without a tripod. You simply record a short video, mark the areas of the image you wish to animate, and let the app to work its magic. When finished, you can share your cinemagraph with friends, family, and followers on Instagram, Facebook, or WhatsApp. Weather Line is an attractive weather app that visualizes all important weather information, including temperature, humidity, wind speed and direction, UV Index, dew point, sunrise, and sunset, on a graph. The idea for Weather Line was inspired by the scientific discovery that the brain processes images 60,000 times faster than text. So, instead of making you read long columns of numbers just to find out what the temperature will be like during the next few days, you glance at a graph and your brain instantly interprets its bold colors and translates them to anything from temperature to precipitation. Unlike many other weather apps, Weather Line doesn’t do any background location tracking, and it takes up only 1.6 MB of storage space. The sixth installment in the popular series of turn-based strategy games designed by none other than legendary designer and producer of video games Sid Meier has finally arrived on iOS. Just like in previous Civilizations, your goal in Civilization VI is to build an empire that can stand the test of time and survive military attacks, diplomatic trickery, and cultural influence of other civilizations. As the leader of your empire, you have several ways how to achieve victory: you can surpass the cultural output of other civilizations, win through diplomacy, dominate with unmatchable military power, outpace other civilizations in technology, or simply survive to the end of the game. 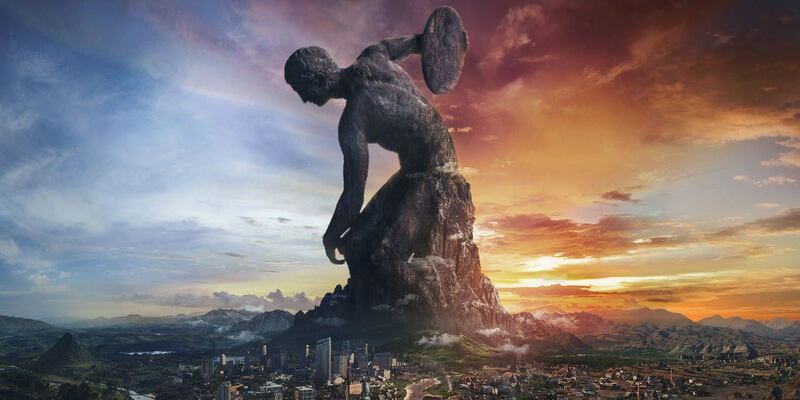 Cities in Civilization VI physically expand across the map, and AI-controlled opponents are now smarter than ever, actively pursuing their own agendas and acting based on their historical traits. Just keep in mind that Civilization VI is a very large game, requiring over 3 GB of storage space. Arena of Valor is a multiplayer online battle arena game developed by Timi Studio Group and published Tencent Games. While the game has been released in 2015 in China, it has reached the US market only near the end of 2017. According to recent statistics, more than 80 million players enjoy Arena of Valor on a daily basis, and the number of monthly active players exceeds 200 million. The secret behind the games immense success lies in its extensive roster of playable champions, a broad range of available gameplay modes, catchy soundtrack, and tight controls. It’s also likely the only MOBA where you can play as Batman, Superman, or Wonder Woman. Arena of Valor has a built-in voice chat functionality for communication with teammates, and like-minded players can forger powerful alliances and participate in tournaments to win attractive prizes. Antihero is a turn-base board game with a distinct artistic style and truly innovative gameplay mechanics that require you to use stealth, cunning, and the occasional assassination to build the most powerful thieves’ guild you can. The game has a professionally narrated story-driven campaign with an immersive soundtrack that is guaranteed to keep you glued to the virtual board on which Antihero takes place. Besides playing against AI, you can also challenge your friends to play asynchronously or in a Live Match. What’s more, Antihero has a ranked PvP multiplayer mode, where you can prove to the whole world who’s the most fearsome thief master out there. Love this rating? Don’t forget to check our list of the most useful apps for IOS.